I was listening to npr on the way to work the other day, and I happened to catch an interview about a young man who felt that his name had led others to make assumptions about him in general and about his race specifically (his name is Jamal, and he is white). it got me thinking about my own name, and as I thought about it more & more, I realized I wanted to let you all in on my thoughts on it. 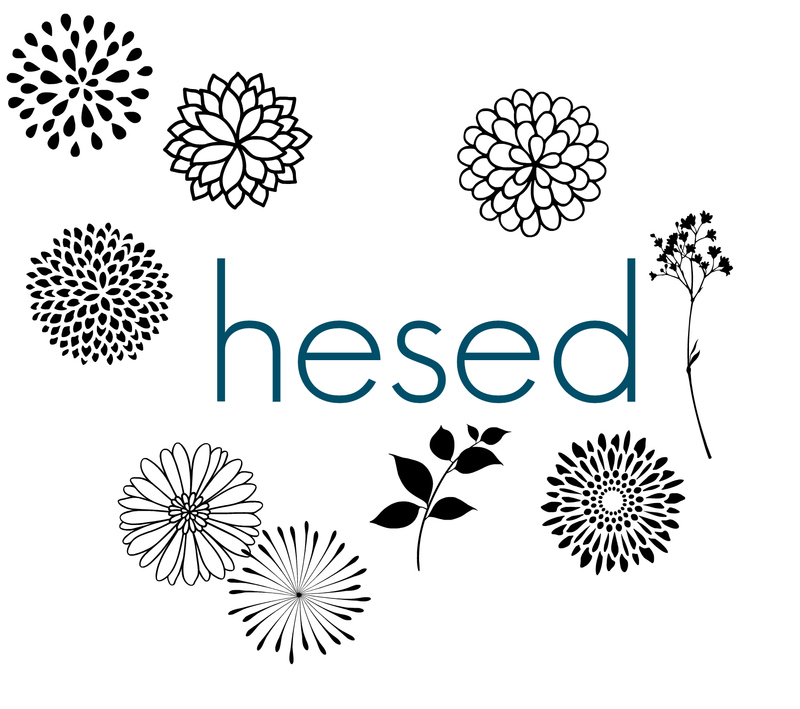 most people call me Hes, but my full first name is Hesed. it’s a Hebrew name that means “loving kindness” or “God’s covenant love for humankind”. my parents were in seminary school when I was born, and they were inspired by their studies of the Bible in Hebrew when it came time to name me. like a lot of kids who had unusual first names, I wasn’t very fond of my name as a child. no one in my family aside from my parents were familiar with it. in fact, a lot of my dad’s family found the name difficult to pronounce because in our language, the letter ‘h’ is not a part of the alphabet, so all members of that side of the family call me “Esed” (pronounced as in blessed) or, even shorter, “Sed” (rhymes with Ted). at least these nicknames were at least related to my real name. sometimes I would just get called Hazel or Heather or some other H-name that was more familiar to other people. when I came to the US, my situation didn’t improve very much. no one knew how to pronounce Hesed either. no one, except my Jewish friends, of course, who all pronounced it with its original guttural H at the beginning (my name can also be transliterated to English as “Chesed”). though my name wasn’t foreign to them at all, they were a little bit amused to find that a short, Filipino girl had such a Hebrew name. once, a package for my office was mistakenly delivered to the Jewish student center down the street from us. The rabbi emailed me to ask that I come pick it up. when I did and I introduced myself, he said with a chuckle, “I didn’t expect you to be Hesed”. now that I’m older, I’ve become really proud of my name. it’s aspirational, and I try to live up to it every day, although I inevitably fall short. I used to be mortified when people would mispronounce my name; I would be so self-conscious and embarrassed. but now, I love that it’s unique. if I ever get a tattoo, I’d want it to be a very small one of my name in Hebrew script. do you have a unique name? do you love it/hate it? have you always felt that way?